In this post, we are going to list some of the best acupressure mats of 2019. Also, you will come to know about the benefits of acupressure mats and how to buy one that suits your needs. Acupressure mats, unlike your regular yoga mats, are used to relieve backaches. It is based on ancient Indian tradition for healing which involves using a bed of nails to press into the pressure points of your body. 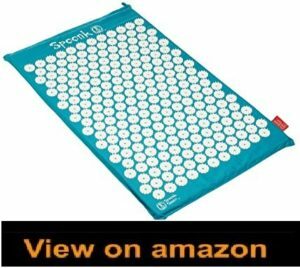 Acupressure mats replicate the idea with its thousand non-toxic plastic spikes to relieve your body from tension and muscle aches. These foam mats became popular in Sweden initially and then spread throughout Europe. But they gained popularity in the U.S. through media when many famous personalities and celebrities started using them. How to Choose the Best Acupressure Mat? Made up of natural fiber, pagoda blue acupressure mats are one of the simplest, cheapest yet quite attractive mats available in the market. 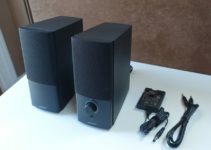 They come with an eco-foam design that is easy to pack and carry around. Since it is made up of natural material, it is quite light in weight and comes with a drawstring bag. How to Use Acupressure mats most efficiently? Who Should and Who Shouldn’t be Using Acupressure Mats? Acupressure mats companies claim that it can cure chronic back and neck ache, stress and anxiety, muscle tension, headaches and even reduce cellulite. A study conducted by Journal of Alternative and Complementary Medicine in 2011 discovered that once getting used to sitting or standing on the mat, people found themselves relaxing. Despite the fact that the researchers did not see any major differences in the stress response after people started using acupressure mats but these people did seem a lot calmer than before. Another study conducted by the European Journal of Integrative Medicine in 2016 stated that participants who initially had a chronic backache reported having less backache. Before introducing you to different types of mats available in the market, its best to give you an overview of the things that you should be considering. Nowadays, there are several new materials that make up the mats. Depending on the use, you need to choose its durability, sponginess, and texture. If you are a beginner and not very sure about the material, it is always a safe option to opt for nation material. If you are choosing a mat for yoga or exercise, it is not recommended to choose a very thick mat as making it over comfortable is not the purpose of the workout. However, if you have back issues, you can consult your physician before buying a mat. Usually, all mats have a standard size. But if you want a longer or broader mat, you can consider these requirements too. Finally, we are presenting you with the list of highly appreciated and widely used acupressure mats that have been proven very useful to people struggling with back problems, tension in muscles, anxiety, etc. With vibrant color and pretty designs, the mat helps your muscles to release the stress built in them. It has a spiky texture that is made up of soft cotton that helps in regulation of blood in your body. Initially, you might find the spiky design a bit uncomfortable, but it serves the purpose of relieving strain from your body. The design is also quite efficient for a foot massage. You can stand on it and put pressure on different points in your feet. Since your feet have veins coming from different parts of the body, it highly effective for improving blood circulation. With so many useful features and superb warranty, the price for pagoda blue acupressure mat is also quite affordable. Below is the Amazon link to the product. Next on the list is the Nayoya Back & Neck Pain Acupressure Mat. It is a well-designed mat for all your strain issues. This mat has 6210 pressure points that work best for your aching shoulders and sore back. Also, it comes with a pillow to support your head while relaxing or working out. It measures 26 x 17 x 1 inches. Nayoya acupressure mat has been tested and approved by practitioners. It was also featured in several health magazines for its extraordinary design and features. Over 90 percent of the people who used this mat approved this mat for increasing their sleep time and helping them immensely relief their pain. It is not necessary for you to use this mat while exercising alone. 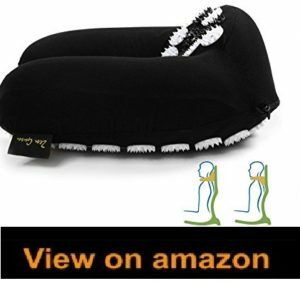 You can use it while watching TV, doing yoga or even while sleeping. It ideal to heal your lower back issues while its pillow helps your neck relax. It is light-weighted and comes with a bag to carry it around. Also, since it has a removable foam padding, you can easily detach it and wash it after use. Below is the Amazon link to the product. The spoon three-piece combo set is a complete set for all your exercise needs. It comes with a regular size mat with over 6200 pressure points, one massage Grove ball, and a bag to carry it around. The mat can also be rolled into a pillow for other uses. The dimension of this acupressure mat is 27.5 x 16.5-inches, and 14 x 16.5-inches pillow. Like other acupressure mats, the Spoonk combo set mat can also be used for foot massage. Because of its design, standing on it improves the regulation of blood in the body. Moreover, the quality of the mat is also supreme. It is made up of durable cotton material that is not only soft but also has anti-allergic padding. Because of its compact size, it is considered ideal for traveling. So, put the mat in the bag and set off for your journey. Below is the Amazon link to the product. Another incredible acupressure mat is the ProSource mat and pillow acupressure set. It is an all in one set that comes with a mat and a pillow. This mat is ideal for people who suffer from chronic back pain as its clever design and smart technology cater specific pressure points that help relieve the back pain. The mat comes with a pillow that can be used separately without the mat, which makes it more convenient. One of the most distinctive features of the ProSource Mat is that it provides you a total of 8910 pressure points and all these pressure points help you to relieve any back pain. Along with pressure points on the mat, the ProSource acupressure pillow also comes with 1782 acupressure points. The complete set gives you a total of about 9000 pressure points, making it one of the finest acupressure mat and pillow set. The mat can be easily washed with a damp cloth and then can be sun-dried. Also, the mat and the pillow are made from an eco-friendly plant-based foam, and it comes in a range of colors to choose from. Using the ProSource mat and pillow acupressure set for 30 minutes a day can help you with all your back problems. So, if you are looking for an affordable acupressure mat, then ProSource Mat and Pillow set is your best option. 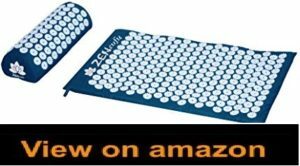 If you are buying an acupressure mat for the first time and have no idea how it works, then you should buy the Zen guru complete acupressure set. It is an all in one set that comes with a mat, a pillow, a reflexology foot chart and a carrying bag. This is all you need to start your acupressure journey. 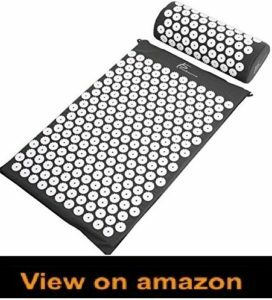 The Zen acupressure mat has 6210 pressure points that work on all the pain point of your body, providing you with quick and efficient results. The pillow, on the other hand, has 1782 pressure points that assist your body. To make the best use of this complete set, you can use the reflexology chart at the back of the mat. The chart works as a guide to focus on specific points and ailments. The Zen set is designed with unique Magnetostatic filed therapy that helps you relieve pain quickly and much rapidly. The mat has specially placed magnets that target areas like spine and neck, providing quick results. Made from the finest cotton and memory foam, the mat, and the pillow are incredibly comfortable. 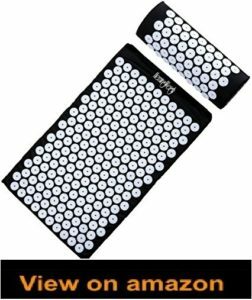 If you are looking for an acupressure mat that caters your different pain needs, then Zensusfu acupressure mat is the one you need. The creative design and the advanced technology used in the mat and the pillow relive pain from various parts of your body by just lying or sleeping on the mat. It is extremely user-friendly. Therefore it is ideal for people who are just starting acupressure. Unlike most acupressure mats that have sharp and hard disks, Zensusfu has a much softer upper layer idea for people with sensitive skins. The mat comes with 1000s of needles, which can relieve pain from all your body parts, especially back, neck and hands. It also works perfectly for people who are always in a rush as only 10 minutes on the mat can provide drastic results. It is also great for improving blood circulation and releasing tension, conclusively, an all in one pain reliever. Made from soft polyester and foam, the Zensusfu acupressure mat is a great option considering the reasonable price range that it offers. 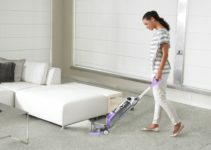 It also comes with a soft pillow and a hard plastic covering, which makes it easy to clean. The carrying bag also makes the entire set portable. To start your acupressure therapy today click the link below and order the Zensusfu Acupressure set right now. One of the most important things to look for in an acupressure mat is the comfort and whether it helps you to relieve stress or not. The Hemingweigh acupressure mat checks all the boxes for you. The 29 x 17 inches long mat offers a wide range of qualities that help you release pain from your body in no time. The mat is extremely lightweight and comes to a pillow that caters pain in your neck and spine. The specially designed pillow focuses mainly on neck and shoulder and eases out the pain. The mat, on the other hand, caters the entire body with all its needles pressure points. The Hemingweigh acupressure mat has 8820 pressure points that work as an all in one pain reliever for your body. It improves blood circulation and can also help you sleep better at night by improving your posture and energy levels. Another one making to the list of top acupressure mats is the Sivan Acupressure Mat and Pillow set. Known for its practical results, Sivan acupressure mat has a lot of features to offer. From a wide mat to the soft material, it caters all your needs. Inspired by ancient Indian healing techniques, the Sivan acupressure mat provides quick pain release from your back, neck, and spine. 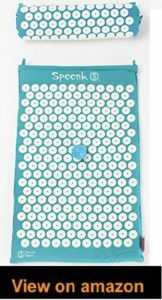 This acupressure mat has thousands of non-toxic plastic spikes that pinpoint specific areas of the body to release stress and pain. Lying on it even for a very short while can release tension and stress. 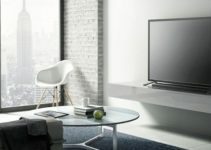 It is 15.98” long and 12.76” wide, giving you enough space to relax. The specially designed needles exert pressure at specific points on the body, which increase production of endorphins in the body. The mat aims at relieving pain and aches by improving blood circulation and nervous system. It comes with a specially designed pillow too that aims at relieving pain at neck and shoulders. The plastic spikes work correctly for all types. The Sivan acupressure mat and pillow set has all the features that make it the perfect pain reliever for all kinds of pain. It also works amazingly as a stress reliever and can help you ease up. The nerve endings that are acted upon by the plastic spikes of the acupressure mat stimulate the production of hormones like endorphins and oxytocin that produce an overall calming effect. Now many people who are new to using acupressure mats are worried that they might puncture their skin while using the mat. However, this does not happen. Since the weight of the body is spread out throughout over the mate, the skin is only stimulated. Acupressure mats can be used for all parts of the body which include hands and feet. Acupressure mat can be used whenever you want. One of the most common practices is to place an acupressure mat under your back when you wake up in the morning, or you can walk over it for reflexology. Consistency is the key. For the best results, use your acupressure mats as regularly as possible, preferably every day. In addition to all the tips above, it’s a healthy choice to drink at least 24 ounces of water after using the mat. This will help you get rid of all the toxins and impurities throughout the day. So, the primary method of using an acupressure mat is more or less the same across all body parts. However, if you suffer from pain in the lower back, then you can create a curve for your spine to hug against by rolling up a towel and placing it beneath the mat. Another method of putting pressure on your lower back is to rest your knees on a pillow or rolled blanket in a way that the mat will press into your back. If you suffer from shoulder pain, then you can roll a towel and place it under the upper part of the mat. This will help put pressure on the neck and shoulder region. An alternative can be using acupressure pillows. You can use an acupressure pillow while either lying down or even sitting on a tall-back chair for neck ache. You can always use a combination of acupressure mat and pillow for overall massage and pain relief. People who suffer from skin diseases, wounds or sunburns. The spikes of the acupressure mat might worsen the situation. It is imperative to follow the guidelines and whether one should use an acupressure mat as the inability to do so might end up with a severe injury or additional problems.